October is national breast cancer awareness month in the United States, so we will be seeing pink ribbons online to help build awareness. Not every woman (or man!) knows that is possible to make a few simple lifestyle changes that can improve breast health and reduce the risk of breast cancer. When it comes to breast cancer risk, there are factors we can control, and others we cannot. For example you cannot control your genetic risk factors. You inherited those at birth. However, you certainly can control factors that help optimize your body’s hormonal balance and disease fighting resources. As with much other disease prevention, you primarily do this through nutrition, exercise, stress and weight management. Get your doctor to evaluate your hormone levels. This is particularly important for premenopausal and postmenopausal women, to help them understand whether their bodies are producing balanced amounts of estrogen, progesterone, and testosterone. It’s typically done through a saliva test, so it’s a very simple and easy procedure. There are probably opportunities in your life to reduce your exposure to chemicals and other toxins. For some, the first step is quitting smoking. Others need to reduce alcohol consumption, as more than one or two drinks per day is associated with increased risk. If you consume large amounts of packaged foods, start reading labels and eliminating those with unpronounceable ingredients that you do not recognize or understand. Even those who eat a healthy diet, avoiding packaged foods, may wish to purchase more organic produce, or at least be more thorough about washing fruits and vegetables. It’s quite shocking how many chemicals may be in the food (even natural foods) we purchase. Regular exercise helps balance hormones, improves mood, reduces stress, and offers a host of health benefits. If you have been inactive, it usually helps to start with something very small. Even a walk around the block each evening can be of benefit. Studies have shown that keeping your weight in a healthy range helps balance your estrogen/progesterone ratio. In contrast, obesity and high insulin levels can negatively impact hormonal balances and put you at higher risk for breast cancer. Cruciferous vegetables such as cauliflower, broccoli, bok choy, brussels sprouts, and cabbage contain an ingredient called Indole 3 Carbinol which helps balance estrogen levels. One to three servings of cruciferous vegetables daily is beneficial for most people, although if you have a thyroid condition you may want to discuss this with your doctor first. While cruciferous vegetables are specifically helpful, eating a wide variety of fruits and vegetables is an excellent strategy for reducing risk of several leading causes of death. Fruits and vegetables contain antioxidants which help remove free radicals. Many forms of cancer are believed to be the result of reactions between free radicals and DNA. Because these free radicals adversely affect the cell cycle, they can be involved in the formation of cancers. A diet high in fruits and vegetables will drastically reduce the amount of free radicals your body has to cope with. A very large-scale study reported in the Journal of the national Cancer institute analyze dietary data from more than 142,605 men and 335,873 women. The study found that those who ate the most fruits and vegetables had added protection against cancer. I recommend that you take daily EFA’s (essential fatty acids), a multivitamin, and possibly a fruit and vegetable concentrate if you do not eat 5 to 8 servings of fruits and vegetables each day. 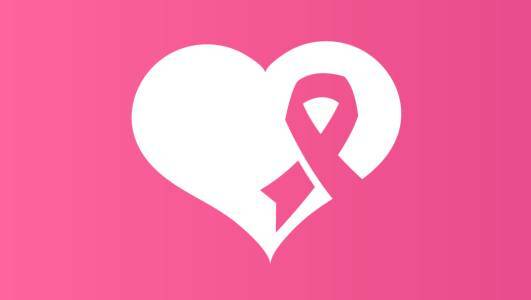 Breast self-examinations are highly effective in early detection of breast cancer. Become familiar with your body and its rhythms, and don’t hesitate to call your doctor if something seems unusual.